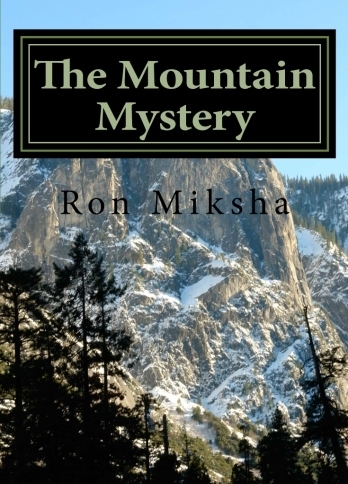 The Mountain Mystery, by Ron Miksha, is published by Summit Science Publishing. The book is available in select bookstores and through Amazon.com. The Mountain Mystery is a fast-paced series of vignettes about the men and women who unraveled the secret of the Earth’s mountains – they discovered plate tectonics. This blog site is loosely based on the book and you will find extensive excerpts from the book presented here, as well as much of the material that did not pass the final cut on the ruthless editor’s word processor. Fifty years ago, no one could explain mountains. Arguments about their origin were spirited, to say the least. Progressive scientists were ridiculed for their ideas. Most geologists thought the Earth was shrinking. Contracting like a hot ball of iron, shrinking and exposing ridges that became mountains. Others were quite sure the planet was expanding. Growth widened sea basins and raised mountains. There was yet another idea, the theory that the world’s crust was broken into big plates that jostled around, drifting until they collided and jarred mountains into existence. That idea was invariably dismissed as pseudo-science. Or “utter damned rot” as one prominent scientist said. But the doubtful theory of plate tectonics prevailed. Mountains, earthquakes, ancient ice ages, even veins of gold and fields of oil are now seen as the offspring of moving tectonic plates. Just half a century ago, most geologists sternly rejected the idea of drifting continents. But a few intrepid champions of plate tectonics dared to differ. The Mountain Mystery tells their story. Thanks for stopping by my blog. It was fantastic to discover yours. As someone who lives on a mountain, keeps bees and enjoys coastlines, I’m looking forward to following you. Thanks for the book heads-up, it’s now on my wish list.